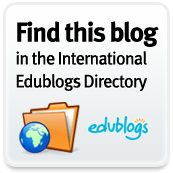 There are so many wonderful and awesome resources available on the web. Here you will find links to those resources organized by type and purpose. Writeboard - Collaborative whiteboard with a twist - logs all changes. Memorize Now - A website to help you Memorize things. Fotobabble - Make any photograph talk! One Word - One Word, So Little Time - Great website to fill time with students. EduTecher - Also available as an iPhone App. Link Bunch - Put your links together. Chartle - Make Charts and Graphs online. JustPaste.it - Simple web page creation - upload word/PDF documents too. 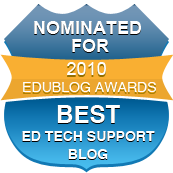 AllMyFaves - A great way to see what is the hottest links on the Web...There is even a section for Education. Farr-Out Links to Learning - Great Web 2.0 Resources. 1.) Instapaper - Great for saving webpages and links, especially from Twitter and Twitter Apps on the iPhone. 2.) Embedr - Video Playlist Embedding tool. 8.) StickyBits - Tag Your World - Create UPC Code type stickers. 1.) 94 Videos that will make you go Ohh, Ahh, Wow and other sayings. 18.) TubeChop - Chop up YouTube Videos and the sections you like.